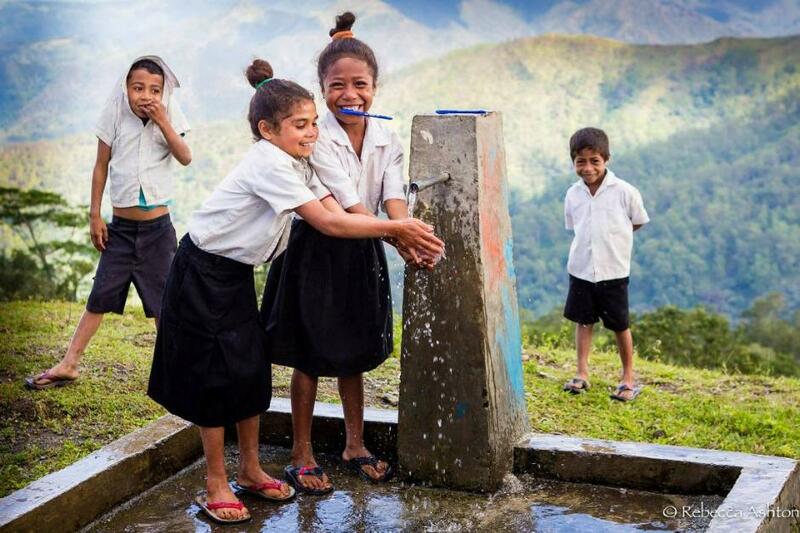 Clean water for the children of Salau School in Soibada! In Timor Leste in October last year, Pittwater volunteers visited Salau school in Soibada. It was the dry season, also called “the hungry season” and it was very evident that there was little water available anywhere in this tiny Suco (sub village) of Soibada. At the school Principal’s request we promised to return this year and attempt to rectify the problem – at least for the children at his school for a start. He had heard about the water sanitation equipment Rob Romer had installed in Tasi Fatin, another Sub village of Soibada. Our local Primary Schools, Sacred Heart and Maria Regina raised the funds for water projects in both Somoro and Tasi Fatin. Water is the essence of life, a resource second in importance only to oxygen. 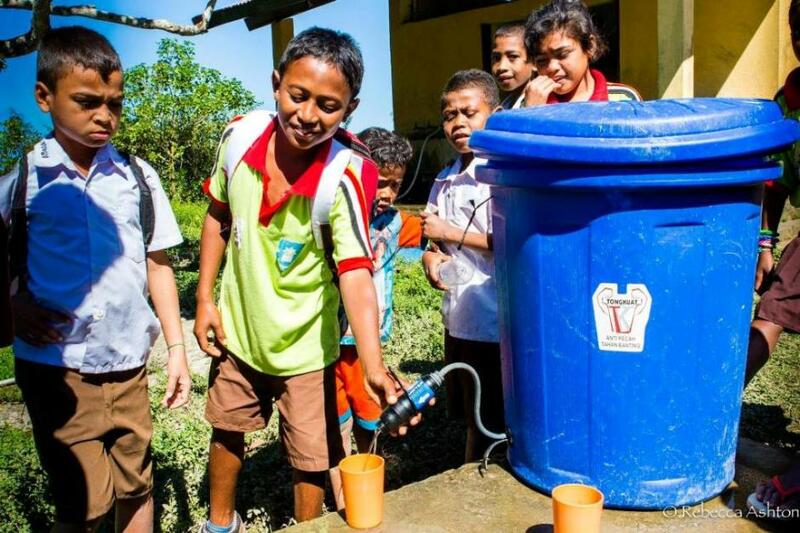 Access to safe water and hygienic sanitation is a significant problem in Timor Leste. Unclean water, poor sanitation and unsafe hygiene practices have claimed 100s of lives. Water related diseases, such as diarrhoea, malaria, and dengue fever represent some of the most common childhood illnesses. Despite the high rainfall in the wet season (our summer), and abundant natural springs all over the island, the people there have only a fraction of the water that we have to use each day. One flush of our toilets is what the average person living in Timor Leste uses all day. During the struggle for independence in 1999 much of East Timor’s infrastructure was destroyed and water sources were deliberately contaminated. Militia opposing East Timor independence killed pro-independence supporters and threw bodies in the water wells, further contaminating the country’s supply of clean drinking water. We are blessed to have Rob Romer as one of our volunteers. He is the inventor of the TankPro TP250 water sterilisation unit and the 2012 recipient of a National Sustainability Award. His design is the first ever small-scale electrolysis unit for sterilising drinking water. It can sterilise collected water within a matter of moments using even the smallest of water containers/collection units. It does this through electrolysis and the minerals in water are broken down to produce chlorine which kills disease-causing pathogens in the water, making it safe to drink. It can be utilised with the Powerpack or connected to a wind turbine generator, solar power, or used in short succession integrating car or motorbike battery. During last month’s visit to Soibada Rob and the team checked and cleaned the TankPro in Tasi Fatin and installed a unit in Salau School. Water storage had been identified as one of Salau’s problems and the money raised at the Trivia Night in Avalon was used to purchase another tank and equipment. Robert Johnson and Ian Laidlaw had a lot of help from the excited students in Salau when the tank was delivered to the school. This was just the first step in easing the problem for Salau – more tanks are still needed. Further down the road, the Nuns at the Orphanage watched the progress with interest. It didn’t take long for us to hear of the water problems the 70 children that lived with them experienced daily. So we added that to our list of needs and hopefully we can attempt to do something about it in October! We are looking for a self-funded volunteer able to travel to Soibada, to assist with the water project in October this year. Please get in touch if you know of someone who may be willing!